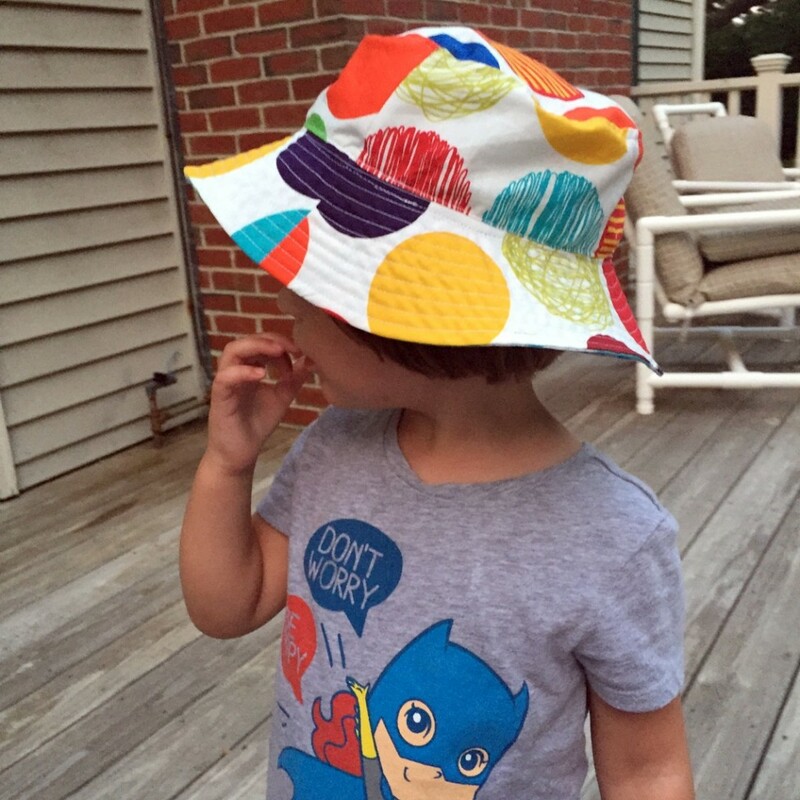 I love this pattern, but it was much trickier to make this hat from Oliver + S Little Things to Sew than I remember from last year. Curved piecing, no problem. It was stitching in the cap on the reversible side to the already constructed brim. 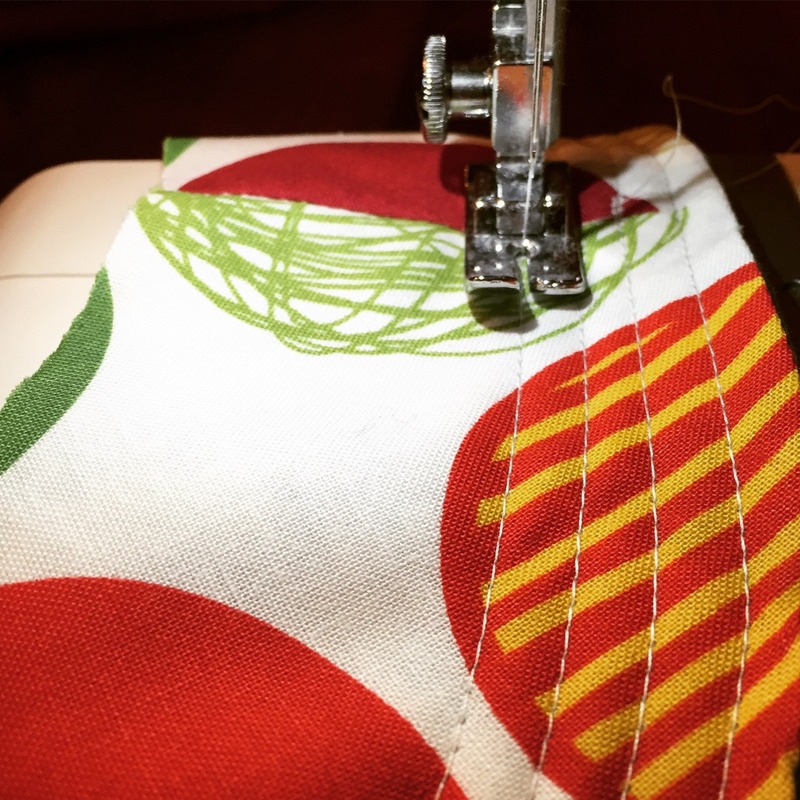 Getting those seams to line up properly without extra fabric was tough. 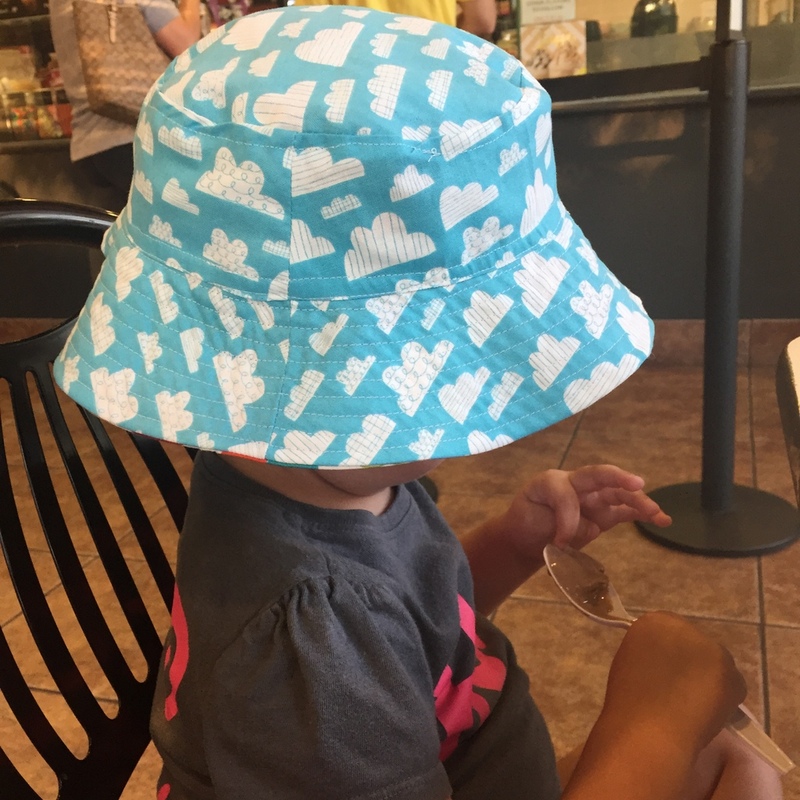 And the reversible side, in this cloud print I adore from my stash, has shorter sides than the dot side. It was just the only way I could get this cap stitched to this brim. 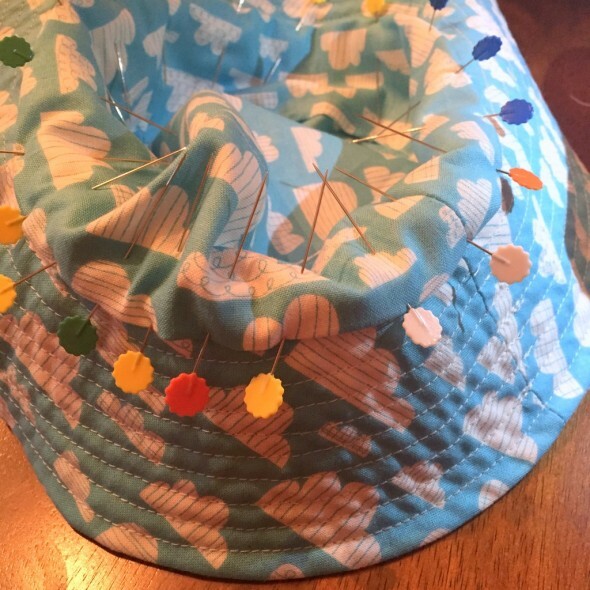 Basically, to make this hat you assemble the brim completely with the two reversible prints, and you topstitch it for structure and look. Then you sew the side A fabric cap to the brim. This is all very straightforward. Then you have to take the side B fabric cap and hand stitch it in to the other side of the brim, getting it all aligned. I am not good at hand stitching. I tried and failed, so then I tried machine stitching it on. I had to tear out so many stitches because however I tried, I had too much fabric left when I sewed all the way around and got back to the beginning of my stitching again. It wasn’t sewing down smoothly. So, I ended up remaking the side B cap in the cloud fabric, because my first one was just mangled. Then I pinned that hat to within an inch of its life. I got it done, but it is not perfect. However, it was another chance to use my endless yards of that Stof Dots print I’m obsessed with, so I’ll call that a win. 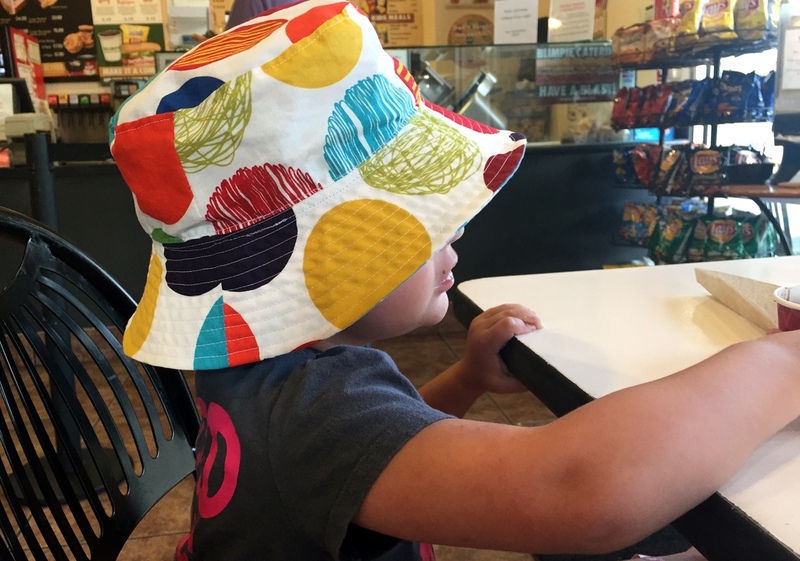 Next year I just find a non-reversible hat pattern.